We need your assistance as the Library undertakes the unpleasant but necessary task of trimming the journal collection to reflect current budget realities. We face the twin, ongoing, and cumulative pressures of flat or reduced budgets and year-over-year increases in the cost of library materials (about 5% per year). Our collection development team has carefully analyzed cost and usage data to arrive at the list of titles slated for cancellation. By cancelling these titles, we will be able to retain access next year to those titles and databases most central to the University’s teaching and research mission, while also maintaining a modest budget for the purchase of academic monographs and other non-subscription resources. The academic journal market is highly problematic. Large commercial publishers continue to profit from the faculty research that they package and sell back to us through the academic library market. To learn more, see SPARC’s succinct description of the issues. You will find the list of titles slated for cancellation, effective January 2019, on the project webpage. If you have a concern about a specific title on the list, please enter your comments on the form for that title. The comment form is available from March 19th – May 1st. We value any comments that provide specific justification for retention of the title, such as its use in a specific course or in your research. 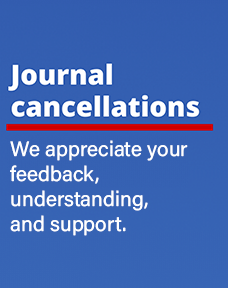 If you have any questions about the journal cancellation process, please contact your liaison librarian or Skye Hardesty, department head for collection development. The Georgia State University Library is committed to supporting the information needs of our students, faculty, and staff. We stretch our collection dollars through our participation in the GALILEO program. We offer exceptional resource sharing services and will endeavor to get you whatever you need for your research through interlibrary loan or GIL Express. We appreciate your feedback, understanding, and support. This entry was posted in Ejournals, For Faculty, For Graduate Students. Bookmark the permalink.